A quick search on the internet will soon reveal just how much information is available on honey bees and beekeeping. But sometimes you can have too much of a good thing. We have tried here to provide information that is tried and proven with experience in north eastern Victoria. Of course this is not a definitive guide but the following may be used as a reference. There are queen cells in my hive! River Red Gum eucalyptus camaldulensis– a medium to large 25m tree 1-2m at the base with a large spreading crown. Bark is smooth and light to medium grey in color. Grows along most waterways and flood plains in a range of different soil types, preferring areas with hot summers and frosty winters. 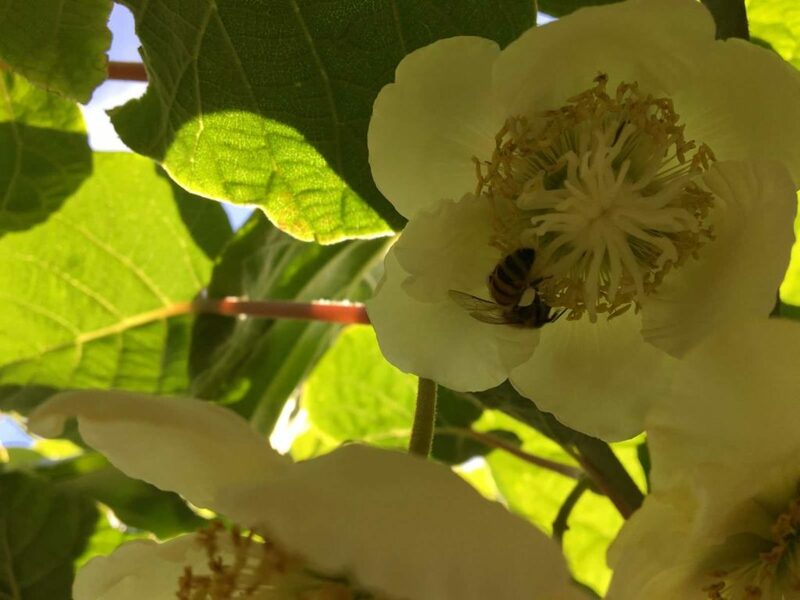 Flower’s Dec-Jan can produce heavy crop of honey and large amounts of very valuable high protein pollen. Red Stringybark eucalyptus macrorhyncha– a medium sized tree, straight trunk up to 1m with very distinctive grey and fibrous bark. Grows on a range of soils throughout the foothills anywhere from 150-900m above sea level. Has a long 18 month budding cycle and an infrequent flowering occurrence, usually flowering 4 -7 years apart. Flowering Jan-Feb this species can produce very large amounts of honey and produces beneficial pollen supplies to support healthy bees ready for winter. Yellow Box eucalyptus melliodora– a medium sized tree to 30m with yellowish, brown to grey bark. Bark color and texture can vary with some resembling gums while others have rough, dark to fibrous textured characteristics. Foliage has a drooping appearance. Under favorable conditions this species has the ability to produce large amounts of honey though very poor for pollen. Red Box eucalyptus polyanthemos – can vary in size due to the wide range of soil types and adaptability to growing in harsh environments, 10m to 30m in height. Bark has a slight rough occurrence on the trunk, smoothing out to gum like on the upper branches. Most distinctly the leaves of this tree are almost perfectly round greyish green in color. Flowering most years in spring providing low yields of honey. Pollen is poor but usually flowers in conjunction with other pollen yielding flora. White Box eucalyptus albens– a medium sized tree to 25m in height. Usually straight trunked .9m diameter with a large crown. Leaves are large, rounded, pale grey to a slight blue in color most noticeable in the winter time. Buds are large 15mm long, pale grey to blue. White Box can commonly be found through out good farming country rising to rocky ridges usually facing an easterly aspect. This species can start flowering as early as April providing winter stores. Though more often than not whilst flowering continues throughout winter honey produced will be thin causing nosema disease, resulting in a severe loss in hive strength and possible collapse of the colony. Manna Gum eucalyptus viminalis– a large tree to 40m in height 1.5m in the trunk pale white. Most distinctly recognized for its long bark which strings off also giving it the name Ribbon Gum. Can be found growing through many mountain streams and gullies. Flowering Feb – March producing a distinctly strong flavored honey. This species is very valuable in producing high protein pollen and sufficient honey stores to prepare hives for winter. Australian Native Plants Society – a valuable reference for all manner of native Australian plants particularly with regard to suitability for gardens and landscape restoration.